Why has a tiny old mining town straight out of Gunsmoke or Deadwood — Crestone, Colorado — become home to twenty-five spiritual centers representing nearly all the brand-name faiths of the world? 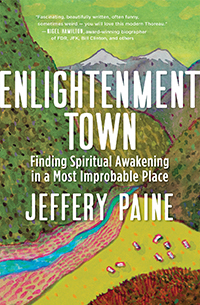 In his new book, Enlightenment Town: Finding Spiritual Awakening in a Most Improbable Place, Jeffery Paine narrates a truly unique adventure. With the keen eye of a storyteller, the insights of a scholar, and the heart of a seeker, he explores Crestone’s wintry, oxygen-thin mountain geography and introduces a cast of spiritual mavericks and unlikely visionaries. Paine finds in Crestone a remarkable dedication to coexistence. Paradoxically, the town’s amazing spiritual diversity highlights fundamental commonalities in a way that will strike and even inspire believers, agnostics, and searchers of every stripe. Jan Mundo teaches a mind-body program that helps headache and migraine sufferers relieve and prevent their symptoms naturally — without drugs and their side effects. 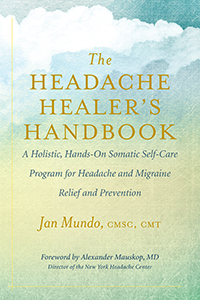 In her new book, The Headache Healer’s Handbook: A Holistic, Hands-On Somatic Self-Care Program for Headache and Migraine Relief and Prevention, she shares this powerful, comprehensive program in print for the very first time. Her step-by-step instructions help readers discover and prevent the triggers that perpetuate headaches and stop pain on the spot. Her techniques are accessible to both occasional headache sufferers and those who have chronic headaches and migraines and have often felt frustrated by being misdiagnosed. Brimming with inspirational narratives, questionnaires, guidelines, tracking tools, and author-illustrated instructions, The Headache Healer’s Handbook answers the headache sufferer’s plea for help and offers hope for a headache-free future. Are you living the life you’ve always dreamed of, or have you settled for being less than truly happy? Do you secretly yearn for love, for freedom, for abundance, for peace, or for purpose? Are you ready to take back your power and become the author of your own destiny? 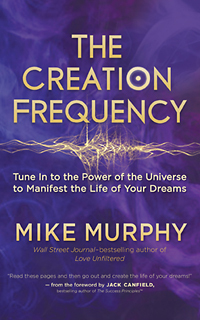 At the darkest moment of his life, Mike Murphy was shown a simple yet powerful method for manifesting his heart’s desires. He used it to change his own life: A broke, desperate, divorced, alcoholic young man became a wealthy businessman, loving husband and father, and passionate philanthropist. Now he shares the precise process that enabled him to make this extraordinary transformation. 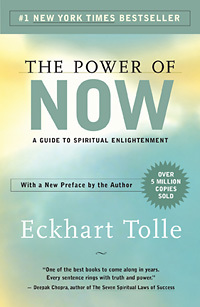 In his book, he will teach you how to tune in to the vibration at the heart of the Universe — the Creation Frequency — and use it to create lasting fulfillment, prosperity, and happiness. In the past three years, I have gone through a death initiation. It began in August 2015, when my husband suddenly started having a seizure in our bed. As I frantically called 911 and attempted to give him CPR at the same time, I was already losing him, and by the time paramedics arrived at our home, he was gone. He was only forty years old. 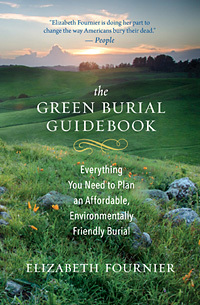 In my deep grief, I did not have the time or energy to research green burial possibilities. I knew that he wanted to be cremated, so that’s what I did, using the traditional method that was offered to me by the funeral home (and no other alternative was ever brought up in my conversation with them). I only discovered after the fact that traditional cremation is not technically a “green” way to process a dead body, and I now must be very careful with how I handle and spread his ashes, making sure to not put any directly in the ground, due to the chemical composite of his cremains. Rarely is one given the opportunity to witness such a sacred encounter as that of Armando and Eckhart Tolle, who met for the first time on a wet and chilly early April day in Central Park. Let’s begin with the “Story of Armando,” which was sent to me, as the original publisher of The Power of Now in Canada, by Lorna Davis, who should be credited for bringing it forward and thereby being the catalyst for their meeting.